Staff are very friendly and helpful. We have booked through Travelonline before and will definitely be using them again. 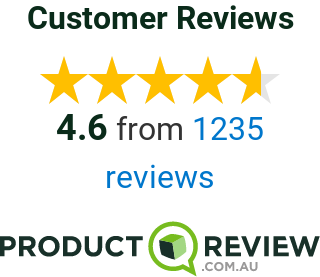 Great service, I would receive prompt and valuable responses everytime I contacted the company. Everything was organised as advised. We are very Happy with Service's. Yes we would recommend to family and friends and also would book with you again, Thank you. The service was efficient and professional and I would definitely recommend to family and friends and most certainly use your service again. Service was great and did not have any issues throughout our holiday! Everything was smooth sailing! Our trip was fantastic! Thank you for your help, what a great service!! Great service from the very start. My email queries were answered within 24 hours and when we had to urgently change our flight home we contacted the emergency number and our query was handled within 2 hours from the contact person on (it was a Saturday to). I will definitely be booking with Travel Online again - for their great deals as well as excellent guidance and service. Easy booking process, would recommend to friends and will book again. The staff where all very helpful and easy to deal with. Great experience booking out holiday. I liked how when booking you had the option of adding or subtracting packages so you could make the holiday as cheap or expensive as you liked. We had no hiccups on the holiday all bookings were honoured. Very easy experience. My consultant answered any questions quickly and was very efficient. Everything was very good and easy to use. We will certainly book with you again and recommend to family and friends. Have used TOL for 5 holidays now and will continue for as much as we can. Excellent accommodation arranged at very good prices and service by TravelOnline was most efficient. First time I have used travel on line and was not sure if it was a legitimate site. I was very impressed with how it operated and very happy with the deal I got. I congratulate you on a professional, prompt service and a follow up to see how it went. Could not recommend Travel online more. The staff are on the ball and are always there to help. A very easy transaction from start to finish. I will definitely use travel online again! Rochelle Locke has always been a great help with booking trips online. The process is easy to follow and hassle free.